Jon and Dave attend numerous camp conferences each year that are both inspiring and educational. We are thrilled to offer a piece of the experience to our teen campers! The American Camp Association NY-NJ section offers its member camps, including Manitou, the opportunity to have select teen members take part in a Leadership Training conference in New York City. The event provides teens with leadership skills you can use at school and in the community, as well as camp skills you can use throughout the summer. 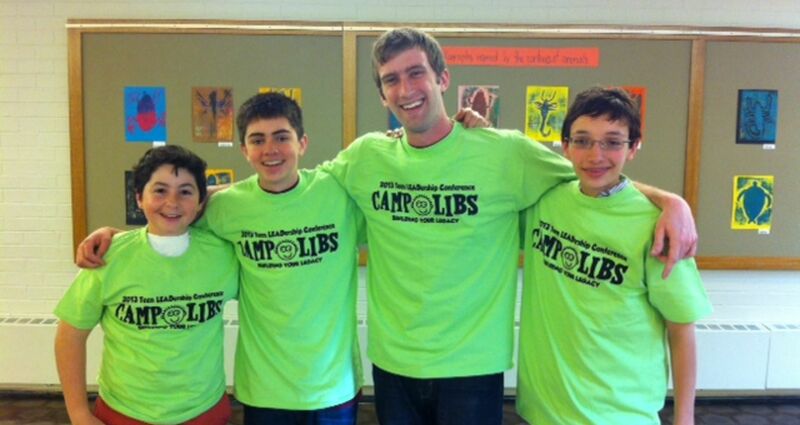 The conference will help you reevaluate, and articulate, camp as the life changing experience it truly is. You can even add the conference to your resume! The conference includes various speaker and discussion sessions, and is highlighted by an outstanding keynote presentation. Along with the conference, Manitou Directors will facilitate discussions on Leadership and service to others throughout the weekend. The Teen Leadership Weekend occurs each spring, usually in late April. Manitou’s Leadership discussion, and opportunities for our budding social entrepreneurs, are year round. For more information about the Teen Leadership Conference please contact the camp office.